Ink black grandson of Accoyo Michelangelo. This young male is a fiber machine. Complete coverage from nose to toes. He checks off all the boxes with density, excellent handle, uniformity of color and micron, brightness and character. Square frame, heavy boned, well propotioned and a perfect bite. 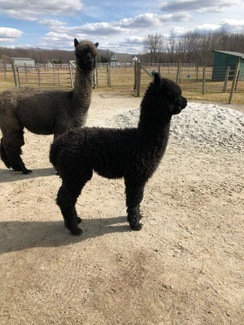 A beauty to spot out in the pasture. 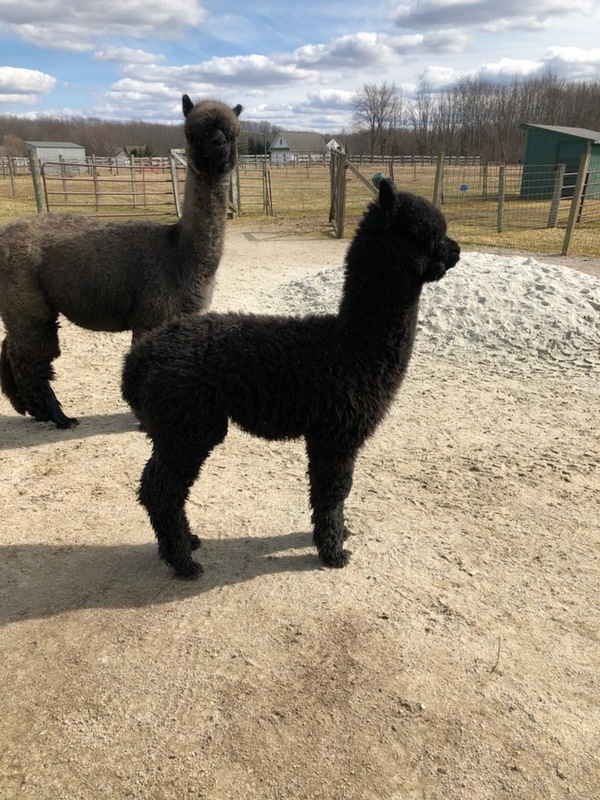 His genetics are amazing in black and gray with Royal Victoria, 5Peruvian Victoria Rose, Accoyo Royal Fawn, Caligula, Dom Timbo, 4Peruvian Black Magic, HA Shades of Gray, Peruvian Challenger and the list goes on. 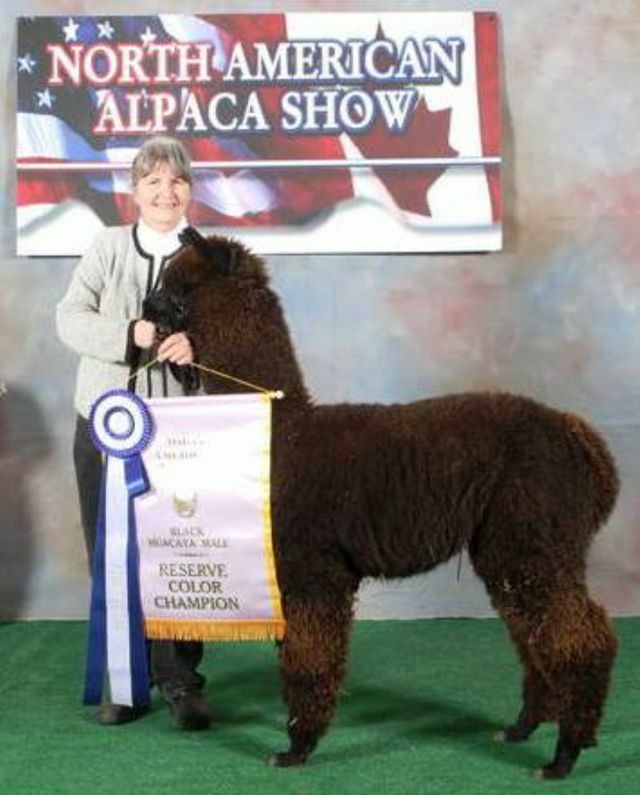 Co-owned with our friends, Dawn & Jim Evans of Small Paws Farm, NY.